Pavers are the best way to upgrade your backyard! 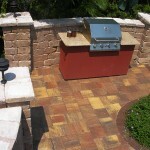 Do you have an existing patio that you’d like to remodel? Did you know that you can install thin, 1 inch pavers on top of an old, cracked, dirty, concrete surface? 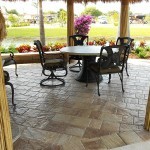 Our patio pavers in Miami are beautiful. 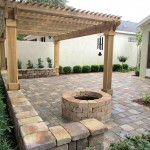 Whether you want to remodel and existing patio or you are looking to build that brand new outdoor space, we can help. 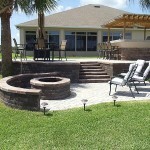 Let’s talk about your two options – remodeling and existing patio and building a new patio. This is the cheapest way to install pavers. Using an existing surface as the solid, concrete base beneath your new pavers eliminates the need for excavation of grass and dirt. Additionally, you won’t have to pay for the delivery and installation of compacted base material since we are going to install new thin, one inch pavers right over top of the existing patio. Thin pavers are set over top a small bed of sand. We use this layer to smooth out any imperfections in the existing concrete surface. We can also increase the pitch of the existing concrete surface by building up this sand bed so your new patio pavers in miami drains well and water doesn’t collect on the surface. 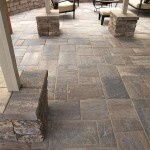 One inch pavers generally do not interfere with your doors leading out onto the patio. 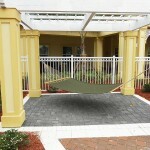 And if you have a screened in patio, we can raise your screen door if needed once the pavers are installed. Turning your back yard into a beautiful extension of your home is a great investment of your hard earned money as not only will it add lasting value to your home, but you will enjoy it for years to come. 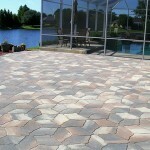 The main benefit with building a paver patio, is that you have a clean slate and tons of room for imagination. 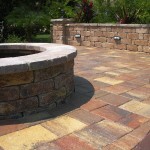 We can help you design the patio of your dreams. We routinely build in planter areas, fire pits, sitting areas, retaining walls, and outdoor kitchens to accompany our patios. The job will consist of determining where the patio is going to be built, excavating the existing earth and back filling that area with compacted base material to establish the foundation of your new patio pavers in miami! 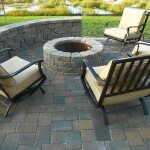 Click on the pictures below to see the detail of the beautiful paver jobs.